Gower Family Pharmacy NOW OPEN! 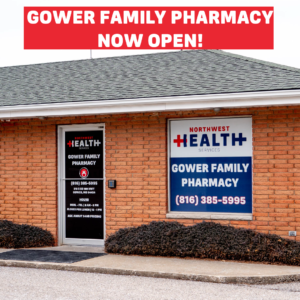 Gower Family Pharmacy is now open, and we are excited to provide pharmacy services to the city of Gower and surrounding areas! 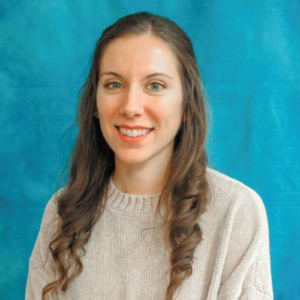 Emily Spring serves as pharmacist and is happy to answer any of your medication related questions! A Kansas City native and Drake University graduate, she is excited to be a part of opening this new pharmacy and expanding pharmacy services to this area. She has experience in managing chronic disease states and is also credentialed as an HIV Pharmacist. Our pharmacy is conveniently located next door to the NHS Gower Family Medicine Clinic. We offer 340B discount drug pricing for patients seen by Northwest Health Services providers, with the main benefit of 340B pricing being for patients without insurance. We also accept most major prescription insurances. We are open 9-6 pm Monday through Friday (closed 12:30-1:30 pm for lunch). We offer same-day prescription delivery Monday through Friday and ask that patients call by noon and let us know if they need a prescription delivered. Our delivery services are available to any patient who lives within a 15-mile radius of our pharmacy. The delivery FREE! We are certified to provide immunizations to you and your family (children 12 years and older) including tetanus (Tdap), shingles, pneumococcal, meningococcal, hepatitis A and B, and influenza (starting fall of 2019). We’re very excited to serve the community. Please stop on by to say hi and ask us about transferring your prescriptions to Gower Family Pharmacy!